This was the best chili we have had and hubby proudly made it. It was light with the turkey and zucchini as major players. The original recipe was to be more spicy but according to the chef, it should not be that way so out went the chilies and garlic. It is unusual for me to take a second plate but I did. I was not full after one dish; it was really light. the original recipe called for bulgar and we chose brown rice in place of this. Hubby made it separately from the rest of the chili. This is a great dish for the colder weather and my reaction to hubby was, you can make this once a week, for the rest of the cool and cold weather. Add oregano, cumin, pepper and cook, stirring, until aromatic, 30 seconds to 1 minute. Stir in white beans and chili sauce, then pour in broth. Reduce heat to a simmer, partially cover the pot and cook, stirring occasionally, until the liquid is reduced and thickened, about 20 minutes. I took one look at this and thought "yes please"! 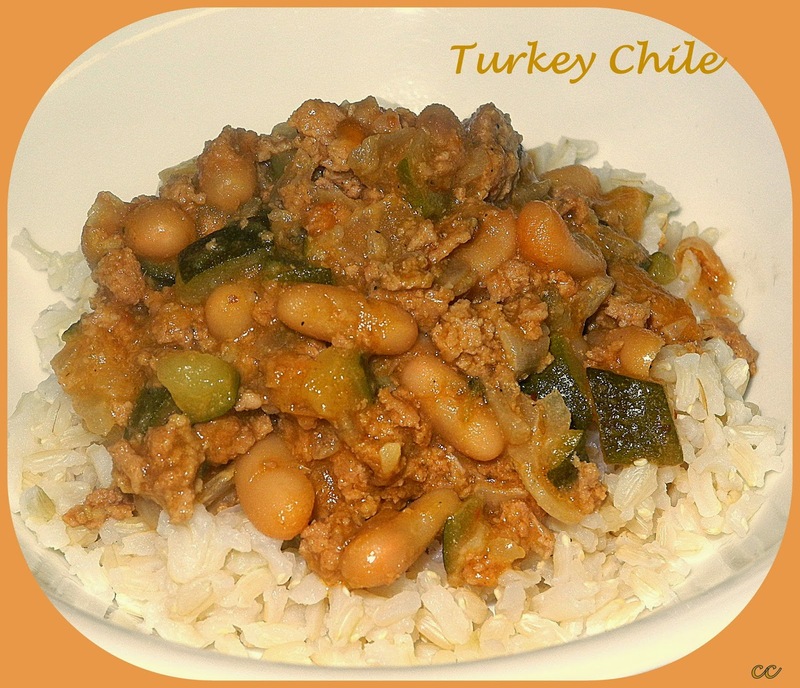 I like trying chili that isn't the usual ground beef. Must be fantastic since you requested it once a week! I really like the sound of your Hubby's chili, Chaya. It's a healthy alternative to the traditional recipe with lots of flavour too!